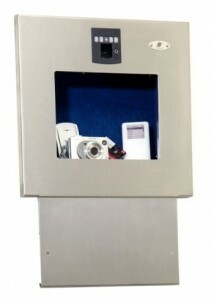 The Secure Logic 20700 Biometric Wall Vault is designed to keep your valuables well-protected. This is mostly thanks to its super strong stainless steel construction and sophisticated biometric fingerprint recognition technology. This vault is easy to install and programming is a breeze, especially considering this is a wall mount safe. This unit comes with a recessed door that opens at the touch of a finger, allowing access only to you and other people you have authorized. More than one fingerprint can be stored and verified. Fingerprints can also be deleted. This vault also has a back-up key entry. To date, the Secure Logic 20700 Biometric Wall Vault has collected only 13 customer reviews on Amazon.com. Reviews are mixed so far, with half of the reviewers giving the product high ratings and the other half giving it a rating below 4 stars. Fingerprint recognition not very responsive – A number of customers have complained that the fingerprint recognition feature on this vault is not always sensitive. More often than not, you will have to try multiple times before the vault recognizes your fingerprint and grants access. Faulty electronics – Some reviewers have reported a burning smell while using the vault and a variety of problems, such as the door jamming or the battery not working. 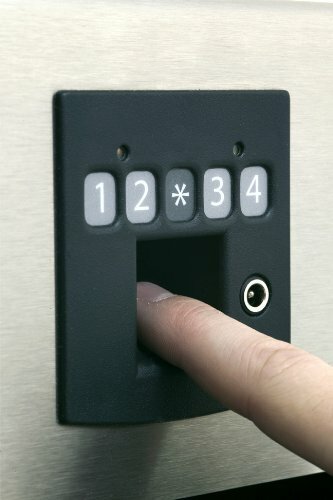 Beeps when opening the door – Users would have preferred that the vault remain silent when using the fingerprint reader. The beep could be a disadvantage in emergency situations when you need to open the vault quietly. Quick and easy installation – Customers were delighted with the simple, do-it-yourself installation. The manual gave clear and easy-to-understand instructions. The vault could be up and running in 30 minutes or less. Easy to open – Contrary to what other reviewers had to say, there were Amazon users who claim that the fingerprint reader was quick to respond 95 percent of the time. Good looks – Aside from being reliable (as satisfied customers have reported), it also doesn’t hurt that this wall-mountable vault looks sleek. It wouldn’t be an eyesore if you decide to leave it in plain view. With only a few reviews to date (and an equal number of fans and critics at that), it’s quite difficult to determine just how reliable this product really is. Unhappy customers claim that the fingerprint reader is not responsive all the time (which can be very annoying in emergency situations), but there are also reviewers who expressed satisfaction with the vault’s performance and say that it is efficient and reliable. Based on all the reviews gathered so far, buying this product seems like a bit of a gamble.